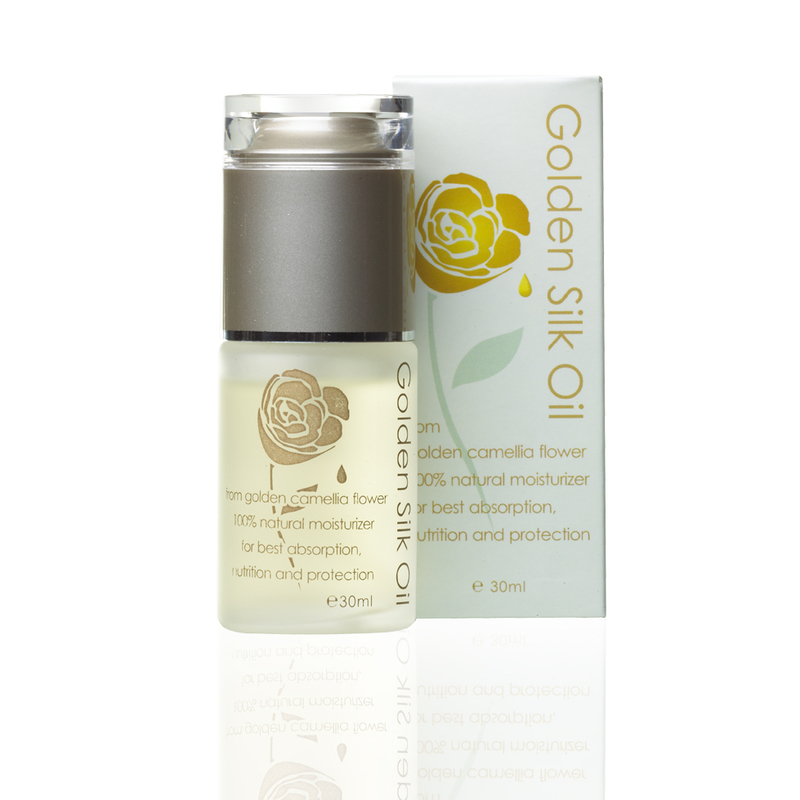 I like a multi-tasking natural product, so I was keen to try Golden Silk Oil, which claims it can be used on the face, hands, body and hair. It's natural camellia oil, extracted from camellia flowers; though don't be mistaken into thinking it smells floral, as it has virtually no fragrance. Camellia oil has been used by the Japanese for centuries, and as well as healing the skin, it's claimed to have the ability to balance sebum in human skin that can be caused by diet, pollution, hormonal imbalance or ageing. It contains vitamins A, B, C and D as well as a host of other good stuff such as beta-carotene. So far I'm loving this little bottle of oil. I've used it on my face at night in place of night cream and woke the next morning to super soft, hydrated skin. I've used it on dry lips, where again it's totally sorted them out. I've even used it under make-up, it absorbs really easily and provides a great base for foundation. Best of all I've been using it on my hands, not only is it sorting out their constant dryness, but my nails are better than they've been in months. My nails really tend to suffer through the winter, they become dry and brittle and split easily; nothing has ever come close to sorting them out before. Right now, after only a week of using Gold Silk Oil, they're long and strong. Approved by the Vegan Society, this oil is so gentle it can even be used on kids (it would be fab as a baby massage oil). You can buy Golden Silk Oil from www.gentlebodycare.co.uk, and it costs £11.50 for a 30ml bottle. It's good to see that the larger, high street beauty brands are launching more natural based products, and the latest contender is Nivea with it's Pure & Natural range. An ingredient that features in many of these products is Argan oil, a great source of Vitamin E and a natural antioxidant. Nivea say it's long been a beauty secret of Berber women from Moroccan, and have sourced their aragon oil from a cooperative in Mogador the Argan Oil which supports the Berber Women and provides the rural population with a stable income. Nivea Pure & Natural is affordable on even a small beauty budget, starting at just £1.99 for the lip balm, £3.05 for the handcream and £8.49 for the anti-ageing day cream. Something I'm particularly impressed about is that all the Pure & Natural cartons include the FSC logo, signifying recycled, sustainable materials and responsible forestry management. The containers are also smaller to ensure they take up as little space as possible, reducing the number of transport journeys required. Nivea Pure & Natural is on sale from February 20th, 2011. Please note this is a sponsored post for Nivea, in conjunction with the lovely people at Handpicked Media. Cancer is a scary thought for all of us, but as a parent, I can't possibly imagine how devastating it would be to find out your child has cancer. But the fact remains that cancer is the biggest disease affecting children today. A chilling thought. The Kiss it Better campaign raises money to fund research into the causes and treatments of childhood cancer. 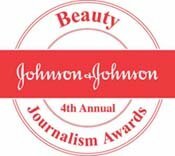 It's the brainchild of a former beauty editor, Carmel Allen, whose daughter was treated at Great Ormond Street Hospital (who treat one 1 in 9 kids with cancer) for neuroblastoma. Carmel explains: "The premise was really simple, Kiss it Better is something every parent says and does when their child is sick or injured. I wanted to turn Josephine’s experience into something positive and to help make a difference to the lives of children with cancer everywhere." This year Clinique have created a special limited edition Smoothie Kisses Lip Gloss set, featuring the latest launch from Clinique, Vitamin C Lip Smoothie Antioxidant Lip Colour. This fabulous set of four glosses is sold in a cute pink bag, and is available exclusively through House of Fraser (nationwide, UK) during February, with £4 from every purchase going to the Kiss It Better campaign (£2 donated by Clinique, £2 donated by House of Frazer). The set retails at £22.50. If this set doesn't float your boat, a £2 donation will able apply to all Clinique lipsticks or lipglosses sold at House of Fraser stpres nationwide (UK) throughout February 2011 (£1 donated by Clinique and £1 by House of Fraser). So there's no excuse not to buy something! If you can't make it into store, try House of Fraser and the Clinique website. To find out more about Kiss It Better, or to donate to Great Ormond Street Hospital, visit this website. A run of illness, busyness and generally not looking after myself has left me looking a bit shabby. The bits everyone can see - hair, face, hands, haven't done too badly, but the rest of me...well it's an embarrassment. 1) To shed a few pounds. I must stop eating biscuits. 2) To tone up. I went to yoga this week and I'm doing a 5 mile walk with friends tomorrow. 3) To scrub up. I need to start using a fabulous body scrub! Lounging in a luxurious bath is not enough for my sorry-for-itself skin, I need buffing up! 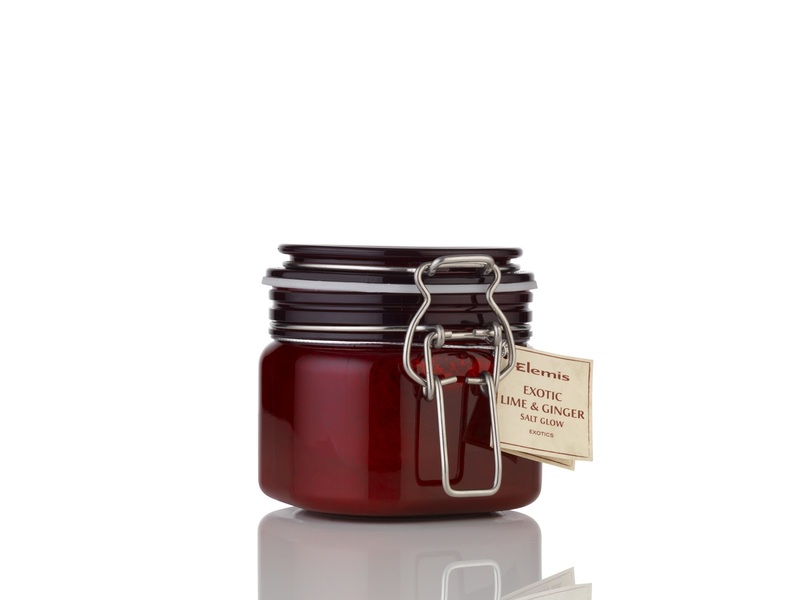 Enter Elemis' Exotic Lime and Ginger Salt Glow. Unlike similar products it doesn't separate before use, so you don't have to stir it before sticking your hand in. Take just a small amount in your hands and rub it onto your body (be careful not to drop great blobs of it in the bath like I did the first time - oh the waste!). It smells divine, has a salty, yet oily feel and does wonders for your skin. Pay extra attention to knees and elbows, but rub it all over for silky soft skin. It contains three oils, Kukui Oil which has restructuring properties as well as sought-after anti-ageing and softening virtues, Japanese Camellia Oil which is easily absorbed into the skin to nourish and condition and is rich in plant collagen and Jojoba Oil to moisturise and regenerate the skin. Add to that lime peel and ginger (which is subtle, I'm not a big fan of the smell usually), plus the essential sea salt for making the scrub, well scrubby, and you've got yourself a fab product. 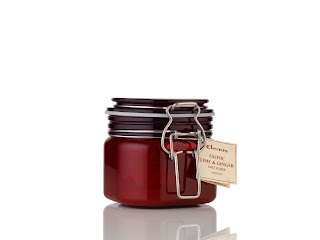 Plus is comes in a glamorous red tub, which will brighten up any bathroom. £35.80 for a 410g tub, which look set to last for months. Buy via Time to Spa, or from Elemis counters. Sorry I've been missing in action for so long. My daughter and I both had the dreaded swine flu, and yes, it is as bad as they say. Then we went away for New Year (Center Parcs rocks), the just after we got back my daughter broke her little finger. So after a weekend in two hospitals and two sets of X-rays later, I have a seven-year-old who's actually revelling in not being able to do anything for herself. Seriously, her finger is strapped up and doesn't hurt as she can't move it, but she's loving the attention. Anyway, enough moaning, it's a new year, and I have products on my desk that I need to try and tell you about...so I'm just going to get on with it!